The Book Guardian: It's a werewolf bar mitzvah, spooky scary! 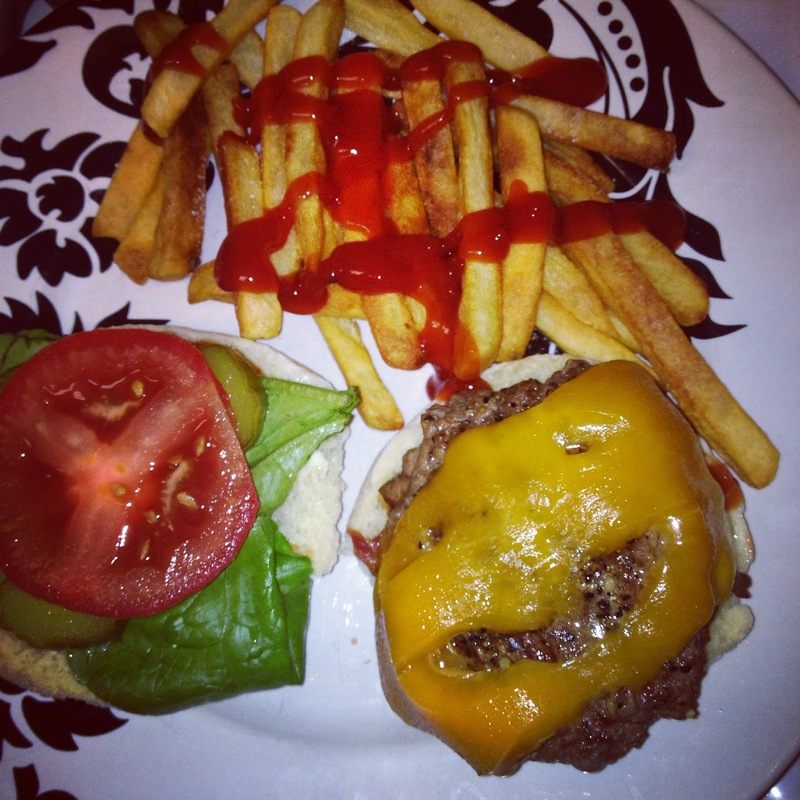 It's that time again - NaBloPoMo! Once again, despite my inability to post regularly any other time of the year, I will be posting every day this month. I'm taking Bridget's lead and starting off with a Halloween wrap-up. We started our celebration last week with a Howl-oween Dog Costume Contest and Boneyard Hunt at Lake Accotink Park in Springfield, VA. The basement apartment I lived in before getting married was on the same street as this park, so every October for years, I drove past signs for this event, thought it would be fun, and wished I could go. This year, since it's only 15 minutes away and we go there to hike fairly often still, I finally went! 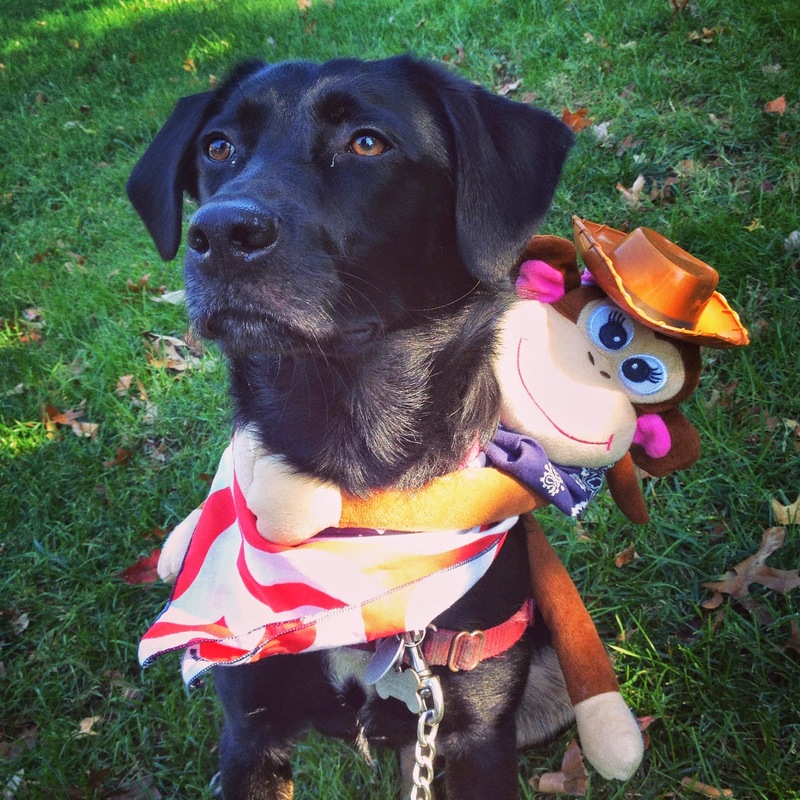 Malcolm won Most Hilarious Costume as a cowboy monkey rodeo dog. It was a team effort - Blake's idea, my execution, and Malcolm wearing it. Malcolm loaded up on milkbones during the boneyard hunt and we came home with a fair amount of treats and other swag for our winnings. Thursday, we carved our pumpkin. Turns out Malcolm is petrified of jack-o-lanterns. Poor guy. Friday, I wore a Tim Burton-esque black and white striped cardigan to work. 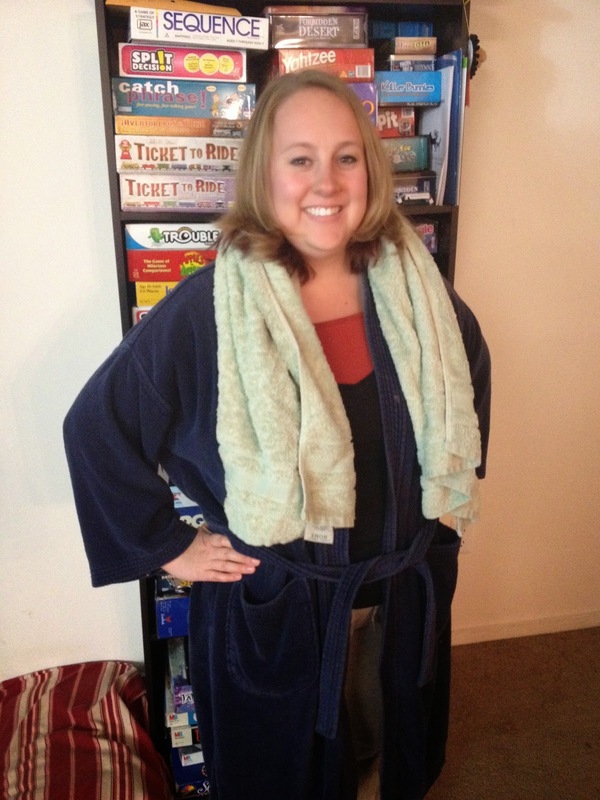 At home, Blake was dressed as a law student with a legal ethics certification exam in the morning, so I tossed on some jimjams, a robe, and a towel and dressed as Arthur Dent from Hitchhiker's Guide to the Galaxy to pass out candy. We had only 8 trick or treaters, one set at 7:30 PM and the other at 10:30PM(!?). Oddly, the later ones were the younger ones and accompanied by a parent. 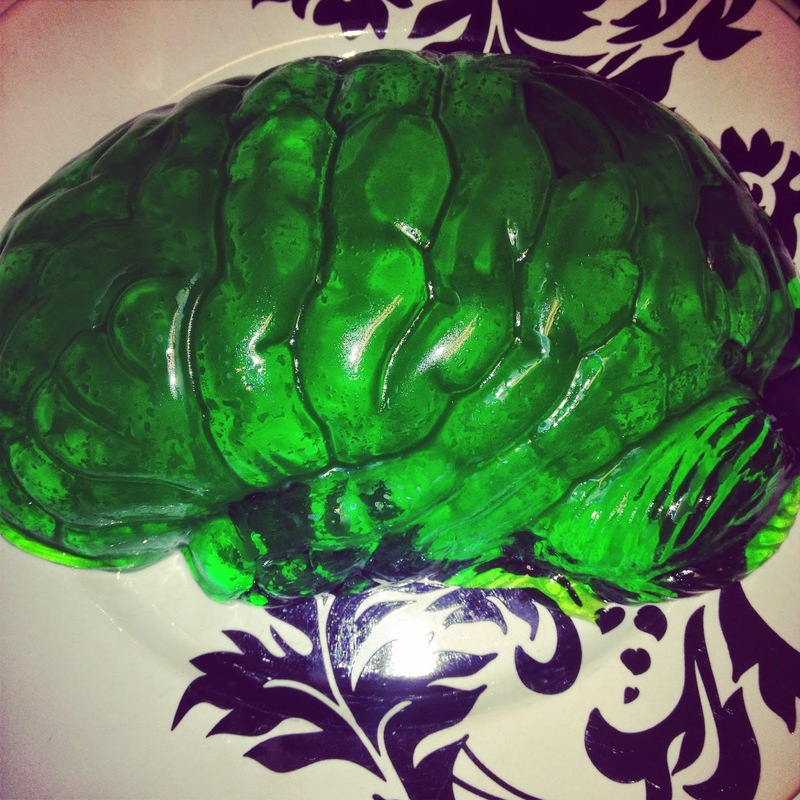 For dinner, we had Spook Burgers and Bones 'n' Blood, with brain shaped jello for dessert. Then, I shelled pumpkin seeds while watching The Nightmare Before Christmas. 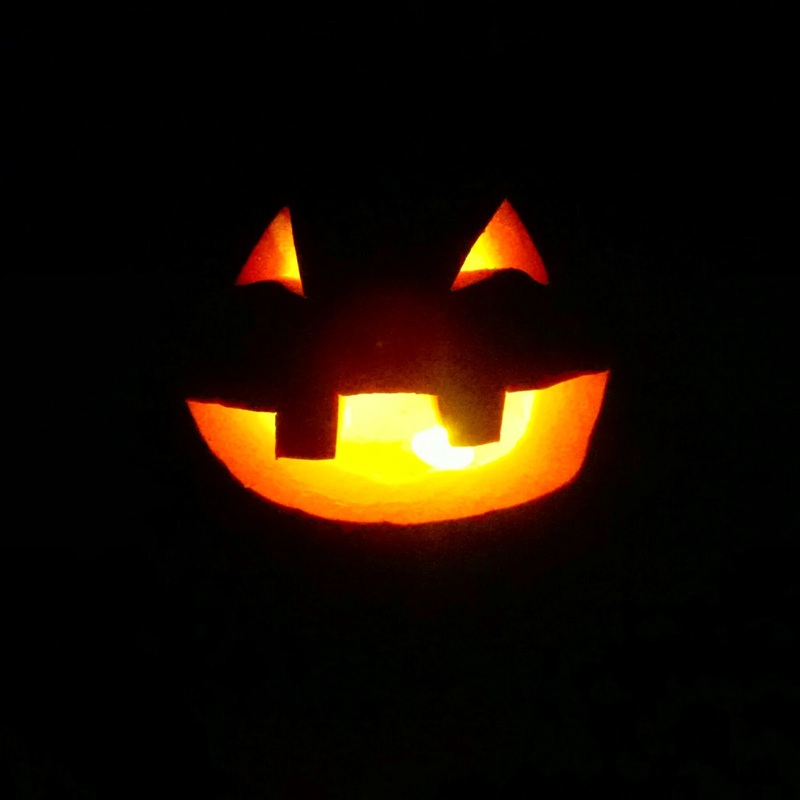 Today, I roasted the jack-o-lantern and made 14 cups of pumpkin puree before calling it quits. 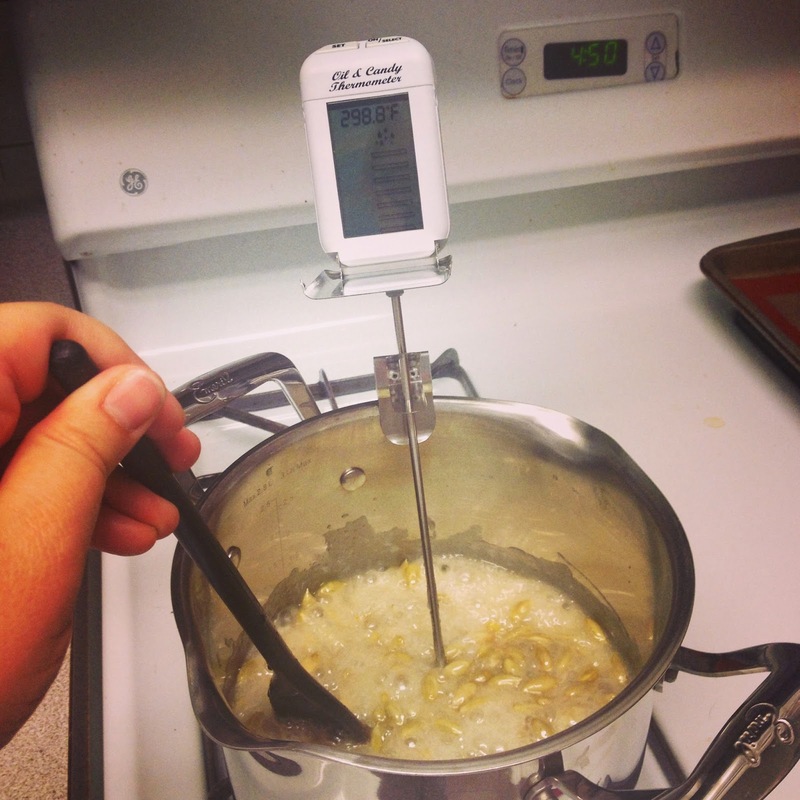 I used the seeds for pumpkin seed brittle, which is still cooling, but the stuff I licked off the spatula was tasty. It's been a pretty chill Halloween, and I like it that way! It's funny what scares the little ones some times. Every now and then I'll sneeze and Iddo will come running to my lap for protection.